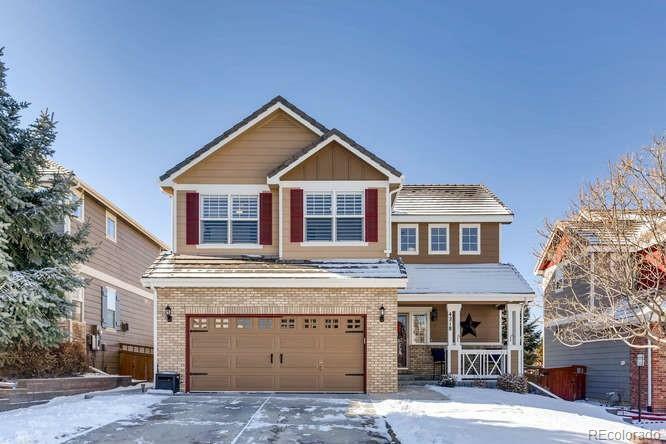 This 2-story home with great curb appeal has everything you could ask for in this price range. As you enter the home you will notice the faux hardwood floors and high-volume ceilings. The main floor features a large inviting family room with lots of light, a ceiling fan and 3-sided fireplace adjoining the kitchen. The kitchen has golden oak cabinets, and a complete stainless appliance package as well as a ample size eating space. Sliding doors from the kitchen take you to a huge outside trek deck perfect for entertaining or the BBQ times. The main floor also features the laundry room and a bath. Now we go to the upper level and immediately find a great niche space for a desk. There are 3 bedrooms on this level and 2 bathrooms including the awesome master suite complete with its own bathroom, with tile floors, double sinks and large oval soaking tub. All the windows in the home have fantastic plantation shutters as well as the lights in the closets and bathrooms are automatic.